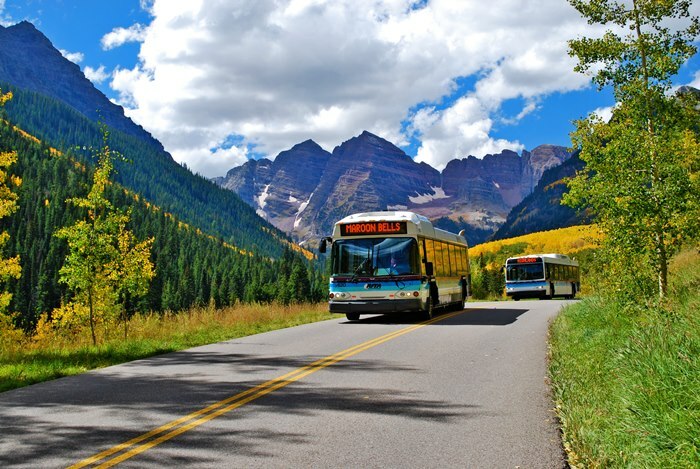 The Roaring Fork Transportation Authority (RFTA) produces millions of dollars more in benefits for Pitkin and Garfield Counties than it costs to fund, says a new report from the Southwest Energy Efficiency Project (SWEEP). The study’s release comes about two months before voters in the two counties will decide whether to raise property taxes to expand RFTA’s services. “We estimate that RFTA’s services bring the two counties total benefits of $67 million to $88 million. The RFTA operating budget is $34 million, and the portion coming from the local dedicated sales tax is about $20 million, so the quantified benefits significantly exceed the costs,” said Will Toor, the study’s main author and the director of SWEEP’s transportation program. Fuel savings: Transit trips on the RFTA system reduced vehicle miles traveled (VMT) in private cars by 29 million fewer miles, saving 1.3 million gallons of gasoline. Use of transit removes vehicles from the road, which helps to reduce congestion on the regional road network. SWEEP estimates that without RFTA, additional congestion would cost drivers just over $1 million. Transit plays a critical role in matching employees to employment opportunities along the Highway 82, Highway 6, and I-70 corridors – without transit, many jobs might not be filled and many workers likely would have to go on public assistance, costing tax dollars. The study pegs the 2018 potential for lost wages at $53 million, and the potential increase in public assistance payments at $1.75 million. Transit service means that destinations like Aspen and Snowmass Village don’t have to build costly parking structures for visitors or for commuting employees, thus saving the communities about $25 million. Moreover, about 65 percent of riders on the transit authority’s Bus Rapid Transit (called VelociRFTA) could drive but prefer taking the bus. The value of health benefits associated with fewer air pollutants and reduced greenhouse gas emissions. SWEEP produced a similar report in 2013 for RFTA, but the 2018 report shows that benefits from the bus system only have grown in the past five years.